Before the Film: Join us for an ice cream social! NY PREMIERE Chloe (Lexy Kolker) is a young girl who lives with her father Henry (Emile Hirsch) in a massive, abandoned house that’s tricked out like a kind of fortress. Chloe’s never been outside the house before, but she trains every day to make sure she can keep up with the false identity she’ll have to assume when she’s ready to venture outdoors. Henry entertains his daughter and seems like a sweet dad, until a day when she almost gets out and he flips, shouting at her “You’re not normal yet! 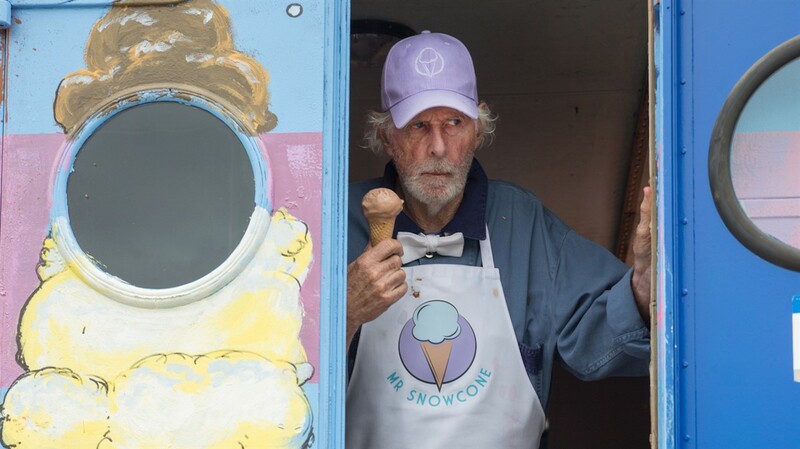 You’ll die if you go outside!” But Chloe has other plans, which not-so-accidentally collide with an ice-cream truck and its driver (Bruce Dern) who’s trying to lure little girl out into the big, bad world. A Well Go USA Release. After the Film: Q&A with director Adam B. Stein.